CLINTON, N.Y.--New York Army National Guard Staff Sgt. Sean Durst and Sgt. 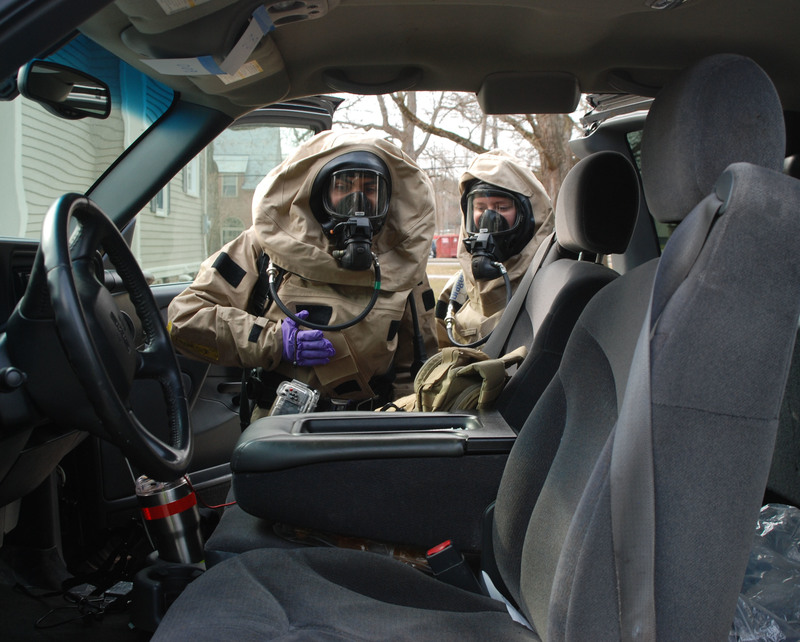 Madalena Noyes both members of the 24th Civil Support Team check out a suspicious truck during an nuclear biological chemical radiological response drill at Hamilton College in Clinton N.Y. on March 21 2019. Members of the New York National Guards 2nd and 24th Civil Support Team the New Jersey National Guards 21st Civil Support Team conducted drills from March 18 to 21 at Hamilton College along with members of the New York State Police Hamilton College Public Safety the New York State Office of Fire Prevention and Control and the 773rd Civil Support Team a United States Army Reserve unit based in Germany.